Our range of forklift bins and tipping skips are ideal for placing in production or storage areas, to help keep working areas clear whilst allowing safe and speedy removal of scrap or rubbish. This galvanised range of forklift tipping bins has all the same design characteristics as our painted tipping bins, but comes with a hot dipped galvanised finish, making these tip skips ideally suited for when working in corrosive environments or where corrosive waste is being put into the skip. Manufactured with a regular duty 3mm thick steel body and heavy duty under frame, our galvanised range of tipping bins are the perfect solution to waste handling, when non corrosive properies are required. Emptying of the forklift skips contents is carried out by a simple to operate release mechanism, which when activated, allows the tip skip to roll forward and empty. 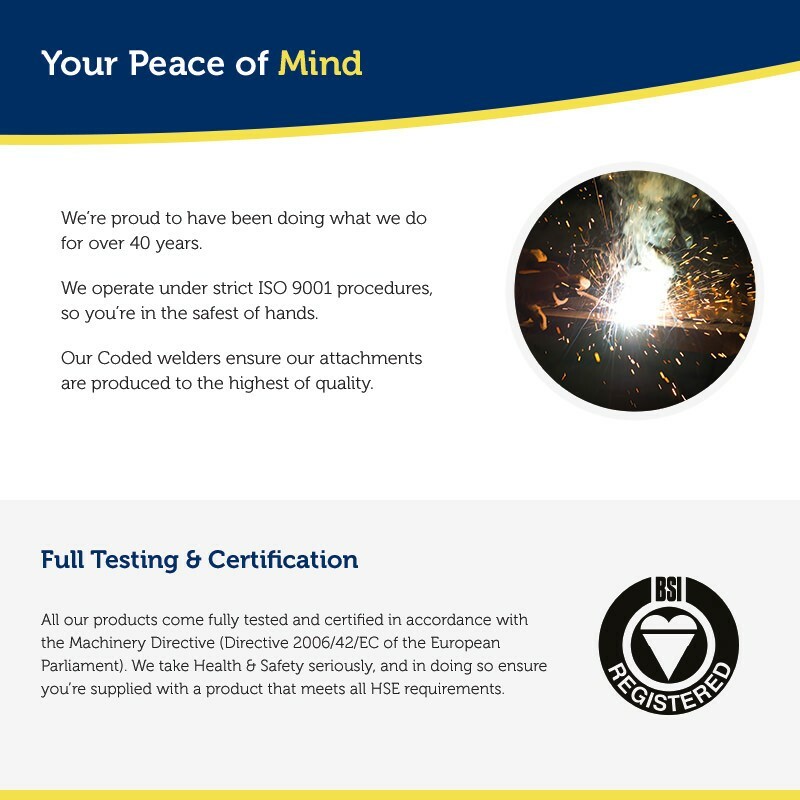 Like all our forklift attachments, all tipping bins come supplied fully tested and certified for compliance with the latest Health & Safety Regulations. "The tipping bin is used for swarf material and disposing of waste metal. 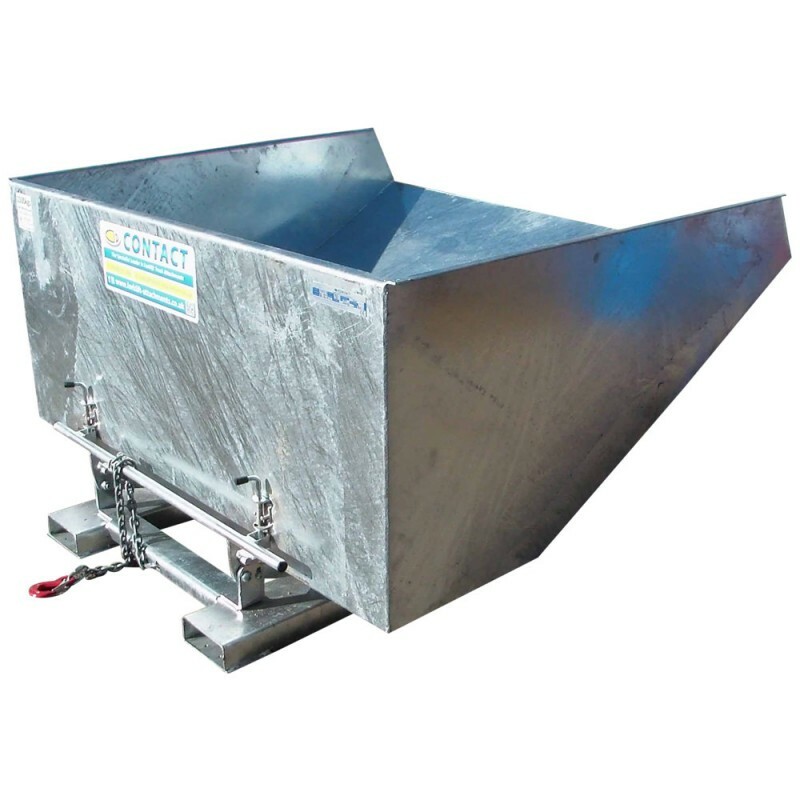 The skip was exactly as described on the web site, good sturdy, great product"
"The tipping skip supplied provided the solution for handling waste in various locations. Would use your company again, quick turnaround and quotation received quickly"
"We needed to transfer liquid and the tipping bin was just the right thing for the job needed. Excellent service and I was very pleased with the help received by email and over the phone"
"We needed more tipping skips for expansion, and having used your company before, the tipping skips provided has helped us keep a clean and tidy working environment"
"Due to handling internal waste, and knowing your product range from previous contact, the tipping bin supplied provided efficient handling of waste and eliminated a Health & Safety issue"
"I required the tipping skip for collecting spent grain and tipping into a trailer. I've had experience with other forklift skips and your company seemed safety conscious and helpful. Perfect product for the job and your sales person was excellent"
Do the skips come with wheels ? Are the skips water tight ? For waste segregation, can i have the skips in different colours ? How are the skips retained to the truck when tipping ? Are you able to supply covers for the skip ?